Save 10% when you add a virtual tour 5-pack to your cart. It cuts our overhead so we cut your cost. Passing these savings on to our customers is just one way 360 Vision gives you more for less! 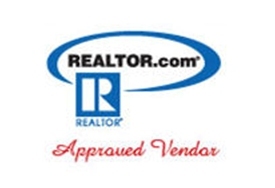 *Realtor.com posting is extra if you are not a showcase enhancement customer with them. Free 18" X 24" Coroplast Yard Sign with Stake included with EVERY Real Estate, Resort, and FSBO Tour! New Fusion Virtual Tour Viewer!!! 360 Vision is proud to announce the release of it's new Fusion Virtual Tour System! We now can combine 360° panoramas, full motion video and digital still photos in one dynamic viewer. All 360° Virtual tours are now available to view Anywhere, Anytime on your iPhone, Android, and Blackberry phones and all iPad, Android, and Blackberry Tablets! 360 Vision announces it's all new ProTouch Photos! Balancing light and enhancing the colors, making you look your very best! SHOWCASE your property with a new HD Full Screen Tour! !